Sūrah Sajdah and Sūrah Mulk (Sunan al-Tirmidhī, 2892). Sūrah Isrāʾ and Sūrah Zumar (Sunan al-Tirmidhī, 2920). Sūrah al-Ikhlāṣ, Sūrah al-Falaq and Sūrah al-Nās (Ṣaḥīḥ al-Bukhārī, 5017). Āyah al-Kursī (Ṣaḥīḥ al-Bukhārī, 5010). Final two verses of Sūrah Baqarah (Ṣaḥīḥ al-Bukhārī, 5009). Have a firm and resolute intention to wake up for Fajr Ṣalāh. Use an alarm clock and if necessary on more than one device. Buddy up with a neighbour or a friend to wake up each other. Almighty Allah says, “Cooperate in righteousness and piety, but do not cooperate in sin and aggression” (Qurʾān, 5: 2). Take a short nap (siesta) in the afternoon as this is an established Sunnah (Ṣaḥīḥ al-Bukhārī, 905). Try to establish a daily routine and fix your sleeping and waking up times. “Whoever performs the Bardayn [the Fajr and ʿAṣr Ṣalāh that are performed when it is cool], will enter Paradise” (Ṣaḥīḥ al-Bukhārī, 574). “There is no Ṣalāh more burdensome for the hypocrites than ʿIshāʾ and Fajr. If they knew what [reward] they contain, they would attend even if they had to crawl” (Ṣaḥīḥ al-Bukhārī, 657). When your eyes open, make sure you wake up. Read the Masnūn supplications below and get out of bed. Do not allow Satan to whisper in your mind that another five minutes will do no harm. Fight the whispers, otherwise, before you realise, the sun will rise and the Fajr time would have elapsed. To download the above in poster format, click here. Tips to Wake up for Fajr. By the blessings of this du’a, Insha Allah you and your children will be granted the ability to be punctual with your prayers. 2. If it’s convenient then to take a nap in the afternoon which is also a sunnah and aids in causing a person to wake up for Fajr. eating or quit? The moment this question arises, a person should stop eating. 4. To not drink water before going to sleep unless there is a dire need to do so and if so, then to drink a small amount. 5. To go to sleep early otherwise the above- mentioned points will be of no benefit. 6. To perform those acts which are sunnah prior to going to sleep, refer to Beautiful Sunnahs of the Beloved Nabi (S), by Hazrat Mawlana Shah Hakeem Muhammad Akhtar Sahib (DB). 7. 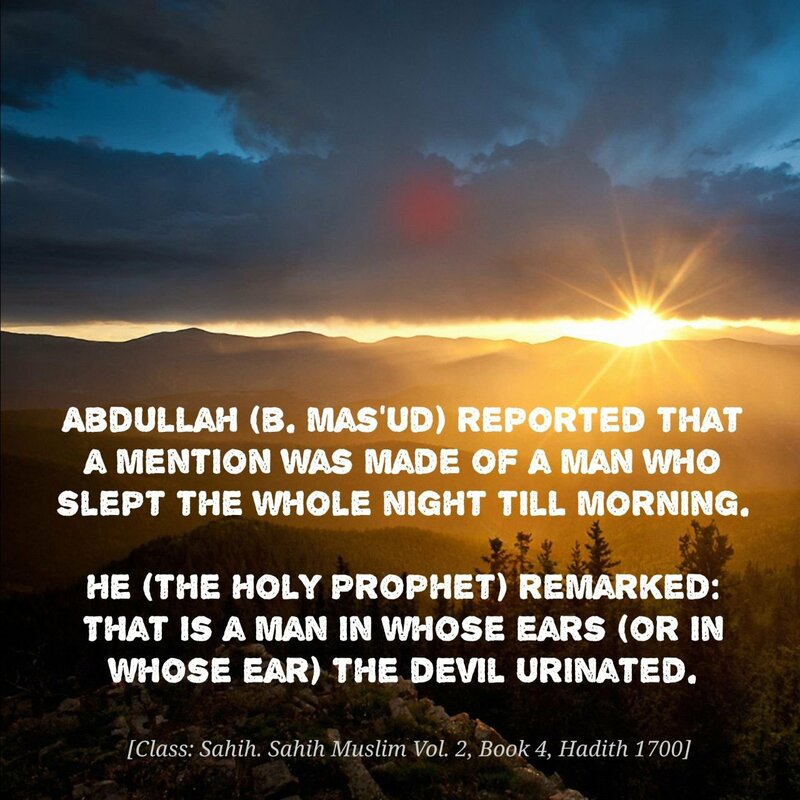 Prior to going to sleep tell someone to wake you up for Fajr. 8. To use an alarm clock and to put it at such a distance that one has to get up and out of their bed and walk to turn it off, by doing so the stupor of sleep will wear off. going to sleep. By reciting these verses if a person intends to wake up at a particular time, Insha Allah one will wake up on that time. 10. Immediately upon waking up, to sufficiently rub your eyes according to the sunnah, this too will cause the effects of sleep to wear off. 11. 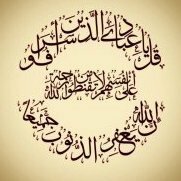 If possible, upon waking up after wiping ones’ face with ones’ hands recite verses 190-194 of Surah Al-Imran. This is also a sunnah. ‘Ulema have written that through their experience this practice also causes the effects of sleep to go away. 12. Upon awakening from ones sleep, using ones strength and willpower immediately stand up. Never fall victim to the ploy of ones nafs that I will wake up in a little while otherwise one will miss their salaah.